As one of the world’s most cosmopolitan locations, Sydney offers an exciting but safe city, with a broad range of international services. 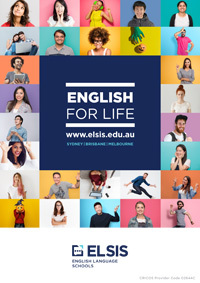 A high standard of education and excellent student services have given Sydney a reputation as the perfect place to study. The mild to warm climate and many clean, safe parks and beaches make Sydney perfect for enjoying outdoor activities and a healthy lifestyle. 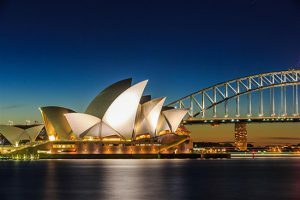 Sydney has a rich mixture of ethnic and cultural groups which adds to its vibrant international atmosphere, and with hundreds of restaurants, cafes and cultural attractions, Sydney has something for everyone. The climate in Sydney is generally mild but with marked seasons. For those of you who live near the Equator, you will notice a distinct difference between summer and winter, with no clearly defined wet and dry seasons. For those of you who come from higher latitudes in the Northern Hemisphere you will notice that our summers and winters are the reverse of what you are used to. Visit Australian Government Bureau of Meteorology website for more information. If you came to Australia on a student visa, you have already paid for health insurance together with your tuition fees. This gives you insurance cover with OSHC Worldcare for basic medical and hospital fees all over Australia. When you visit the doctor, pay the bill and keep the receipt. Apply online (www. oshcallianzassistance.com.au) for a refund of the standard doctor’s fee set by the Government (this may be less than the fee you paid the doctor). If you haven’t received your OSHC Worldcare card yet, (it could take 3-4 weeks to arrive), keep the doctor’s receipts until it arrives and then apply for a refund. Direct Billing means that if you hold a current OSHC Worldcare policy and attend one of the providers listed, the bill will be sent directly to OSHC Worldcare for payment and you will not have to submit a claim. Some Medical Providers may charge you a co-payment. A ‘co-payment’ is an amount that you will have to pay and that cannot be claimed for a refund. We recommend that you download the app: www.oshcallianzassistance.com.au/app. If you ever have an emergency and need help from FIRE, POLICE or AMBULANCE SERVICES dial (free) 000 from ANY public telephone or mobile telephone. Melbourne offers many doctors and dentists to choose from should you need to be treated. There are also chiropractors, physiotherapists, podiatrists, dieticians, optometrists, Chinese medicine, natural therapies, and many more specialists. A very useful tool to help find any of the services you require is the yellow pages website (https://www.yellowpages.com.au/). Remember to bring your health care card with you to any appointment if you currently hold one. Town Hall and Wynyard train stations will give you access to most locations around Sydney and are only a short walk from ELSIS. Students living in the Eastern Suburbs can choose train or bus transportation to the city and most trips take about 10 – 30 minutes. Buses run regularly and there are bus stops near ELSIS. Bondi Beach is a 40 minutes bus or bus/train ride east of the city, and Manly is 30 minutes by ferry from Circular Quay. Being in the city gives you an excellent starting point to access some of the 26 beaches that are within the Sydney area. All students who use public transport should purchase Opal Cards from designated venues, which can be used for all transport. If you have had a licence in your own country for more than a year, you can apply for an Australian Driving Licence, but you must pass a driving test. If you are on a Student or Working Holiday visa and studying for 10 weeks or less you can drive using your International Licence, if you already have one. Roads and Maritime Services (RMS), 19 York Street (near Wynyard Station) will be able to advise you of what you have to do and where you need to go to arrange an Australian Licence. If you are a member of your country’s motoring club and you have your membership card, you can get free information and maps from NRMA, located on King Street, near George Street. For more information please visit the Roads and Maritime website.